Hey coffee lovers! I’ve got an easy crowd pleaser for you today. 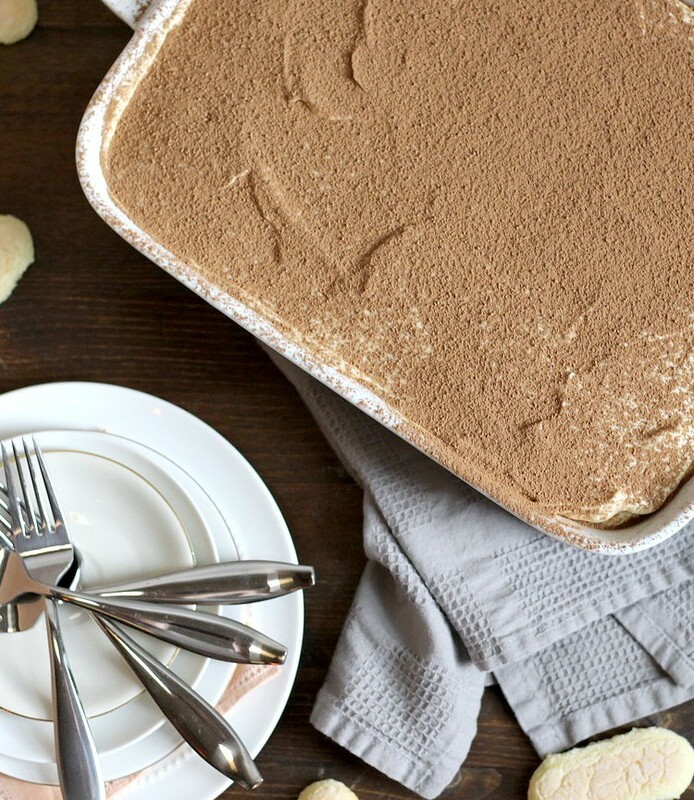 If you’re anything like me, you love coffee, and you’ve always been intimidated by making your own tiramisu. But for reals, don’t be. It’s easy, you can definitely handle it. You only have to cook one component here. 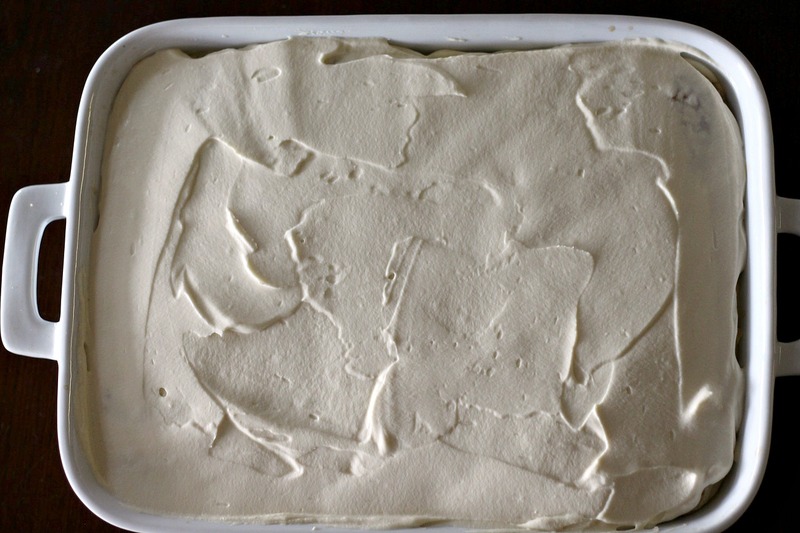 Also, mascarpone cheese is like, this super creamy and smooth cream cheese. 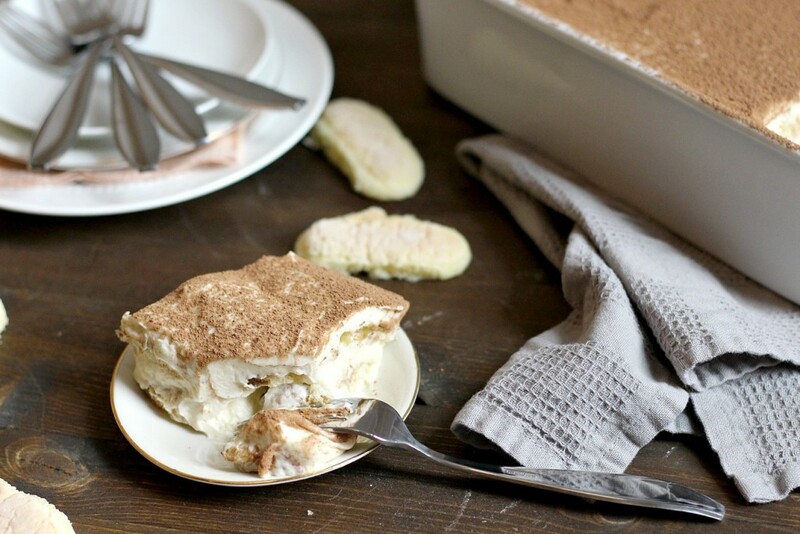 If you’ve never had tiramisu, it’s basically a layered creamy dessert. The base is lady fingers, which are a dry sponge cake, soaked in espresso, layered with a mascarpone cheese sweet cream, and dusted with cocoa powder. It’s served chilled, and if you like coffee, it’s pretty divine. If you only kind of like coffee, you can use less of it while layering the dessert. Here’s my tip that worked well at least for my lady fingers- I had trouble dipping these in espresso even for the shortest time, they kept just falling apart before I could place them. So instead I actually placed the dry lady fingers in the dish, and then brushed on espresso in two applications, waiting for it to soak in between each round. I found it much easier. I also like a slightly sweeter version of this classic, so I added some additional sugar to the cream, as well as vanilla to boost the sweetness and flavor here. Feel free to omit the vanilla and the powdered sugar if you prefer a more bitter version! Over a double broiler, whisk together the egg yolks and sugar until sugar has dissolved. The mixture will be pale yellow, and thick. It should ribbon when you pull up your whisk. Set aside. Beat together the mascarpone cheese, powdered sugar, and vanilla extract. Add in the heavy cream, and beat until mixture has stiff peaks. Gentle fold the egg yolk mixture into the mascarpone mixture until fully combined. 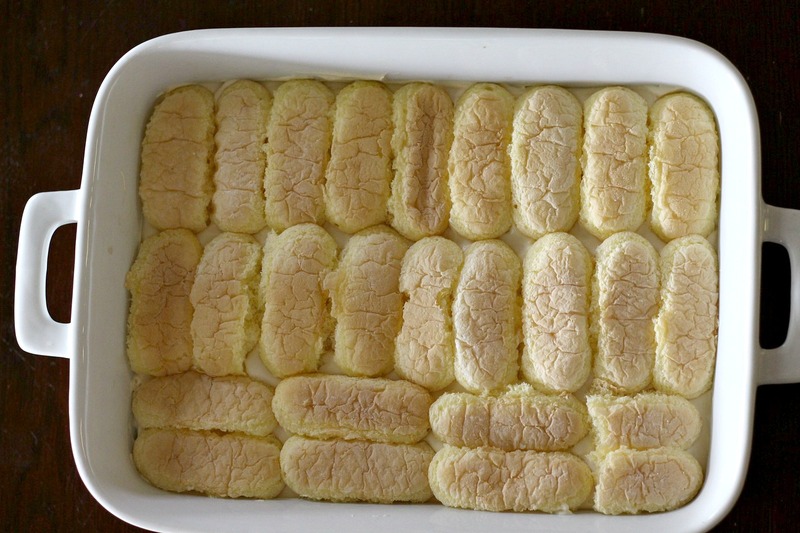 In a 13 by 9 inch pan, create a full layer of lady fingers, covering the bottom of the pan as much as possible. Brush on the cold espresso, and wait 1-2 minutes. Then, brush another round of espresso onto the lady fingers. Spread about 1/3 of the cream on top of the lady fingers. Repeat the process of layer the lady fingers, espresso, and cream until you have three layers of lady fingers, and cream on the top. With a sifter, dust the top with cocoa powder. Chill for several hours, and serve! Oh man. 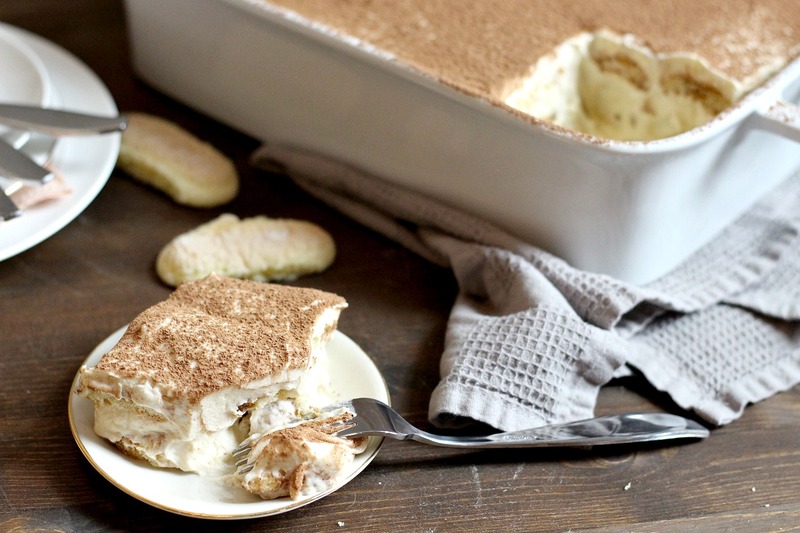 It's been way too long since I've had a good tiramisu, and this one looks absolutely divine. I MUST try this recipe ASAP! Thanks so much for the kind words! 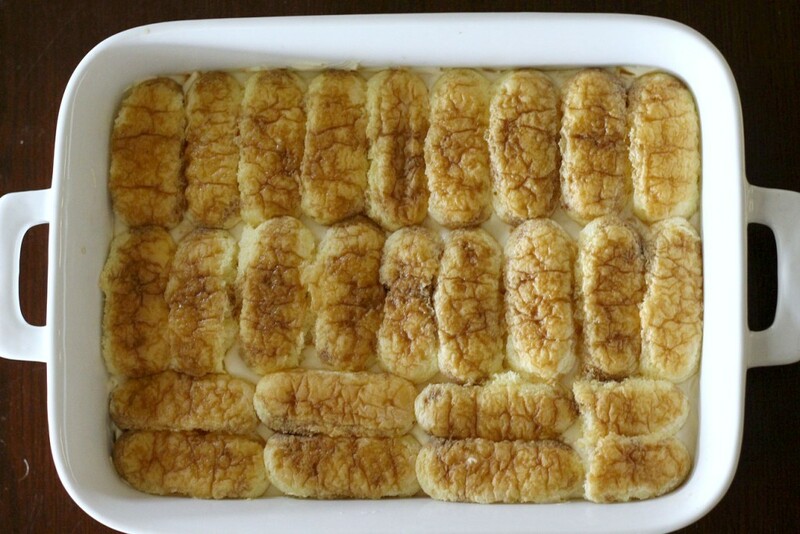 It's one of my favorite recipes so far- it really IS yummy! How many servings is the tiramisu??? I would say about 12 servings!